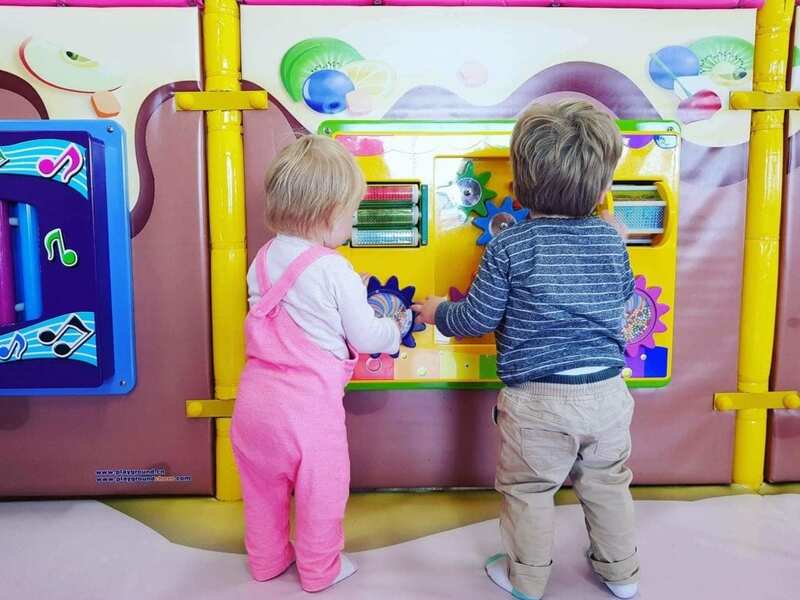 I’m no play centre guru but Lollipop’s Playland Bayswater is definitely the best play centre we have visited. 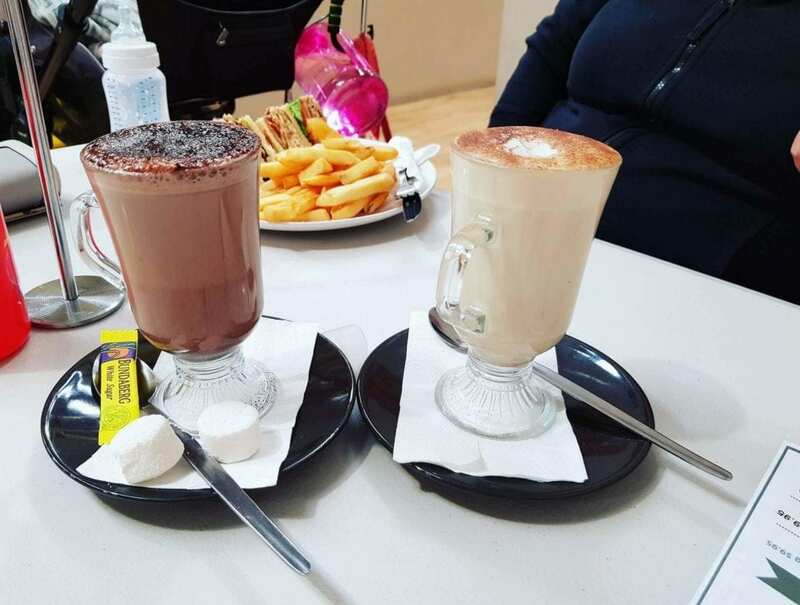 Located at 68 Beechboro Rd Sth, Bayswater, it is easy to find and there is plenty of free parking available at the front. 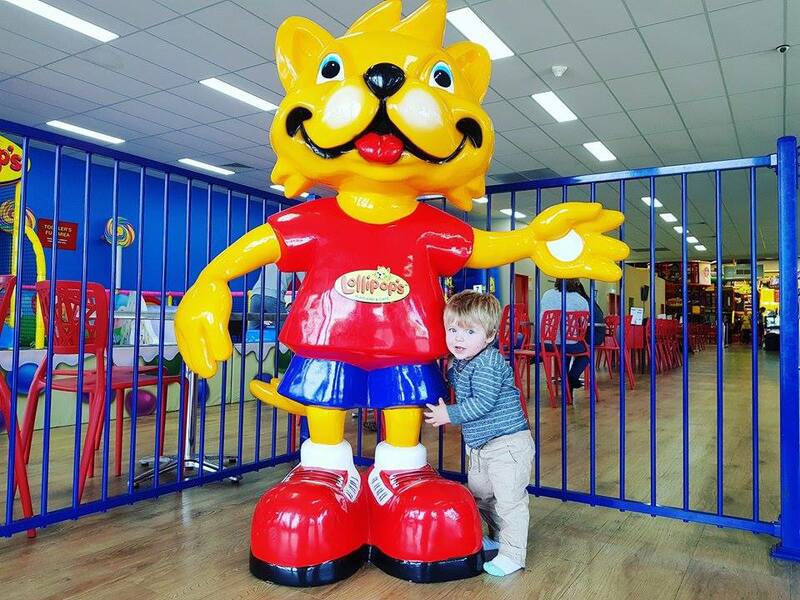 As we entered my toddler couldn’t resist giving the large fiberglass Lollipop’s cat mascot a big cuddle. 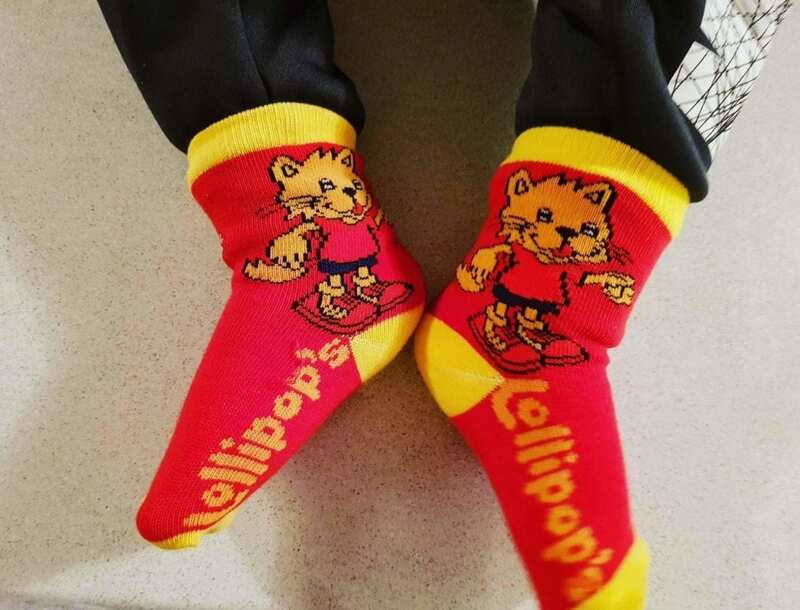 Lollipop’s has a great security system in place, upon paying all children are given a wrist band or sticker that can be stuck on the back of their shirt, and parents issued a ticket with a corresponding number. 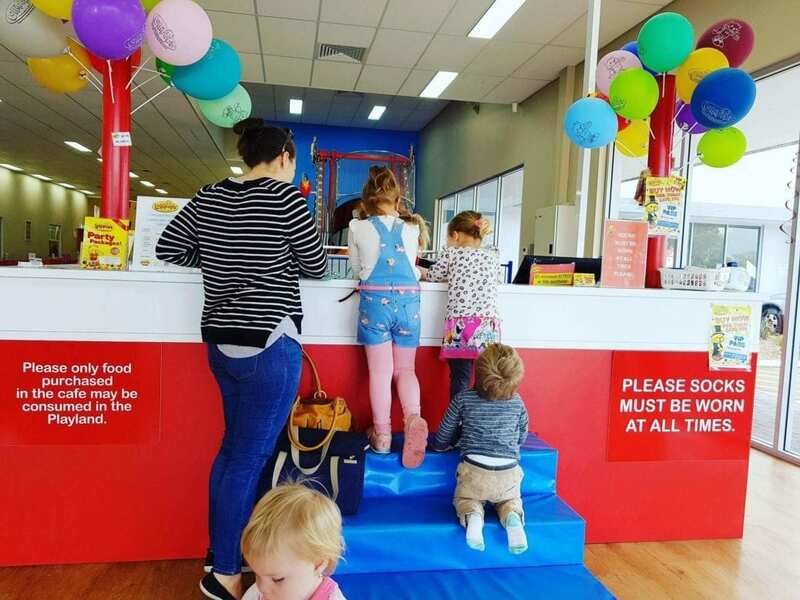 This way only you can check your child out of the centre. Gates in and out are locked by staff, who then check you all out on departure. 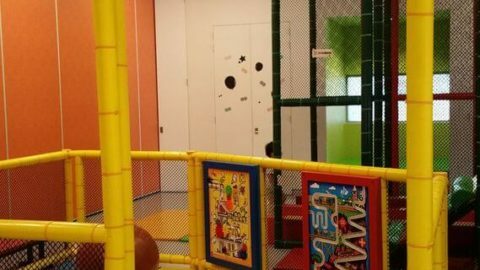 The reception desk has soft foam steps, kids can climb up to grab their wrist band or simply say hello to the person at the desk. 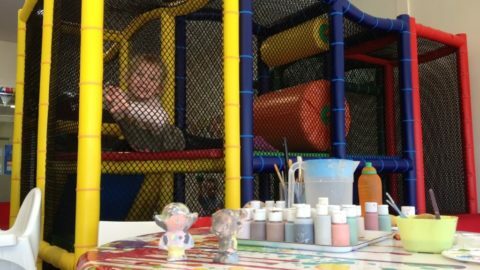 We headed straight to the Toddler’s Area for children under 3. 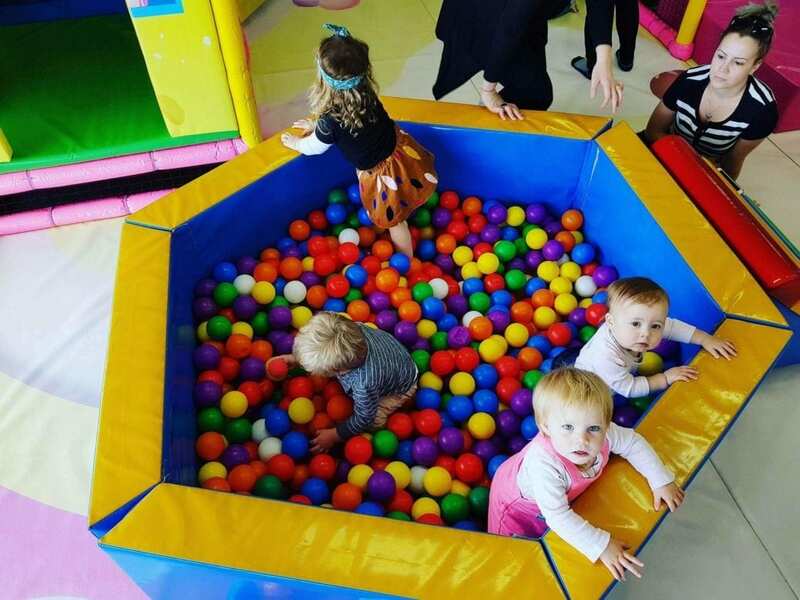 This area features a climbing structure with soft foam steps and a double slide, a ball pit, soft blocks, a foam rocker, wall activities that include a xylophone, spinning gears and a maze, great for developing fine motor skills. 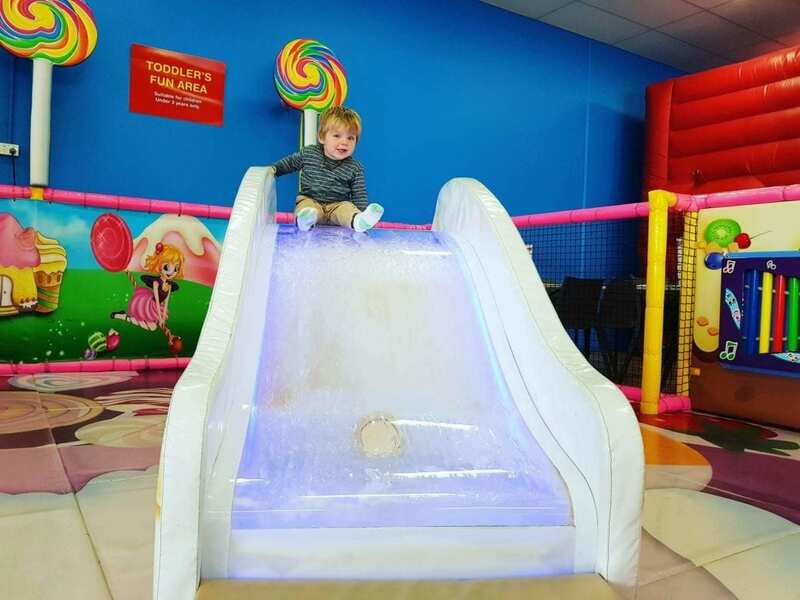 The highlight for my toddler was the “waterslide” – don’t worry! 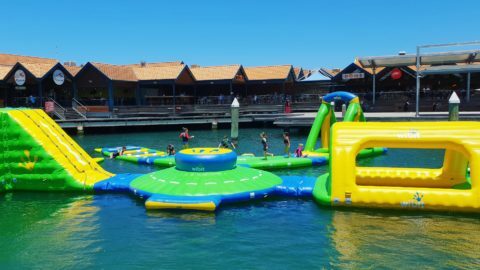 Your child won’t get wet! The water is inside the slide. 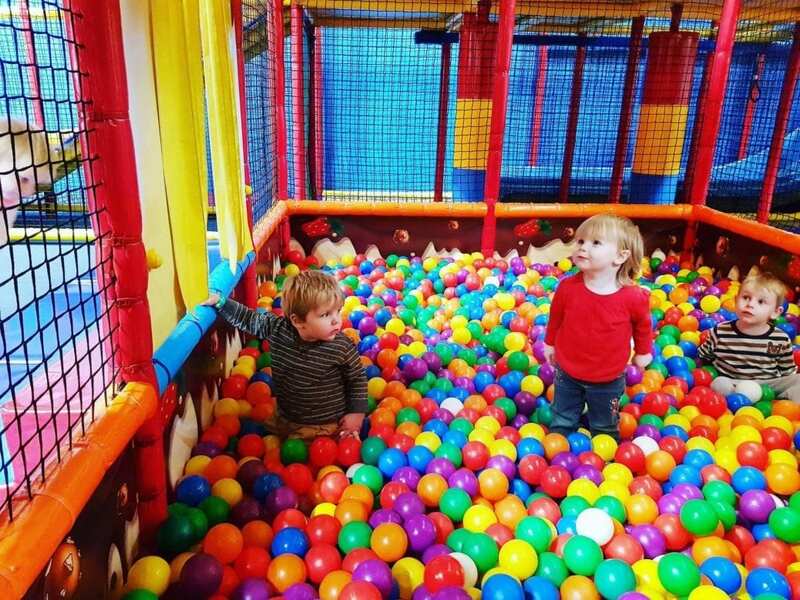 I enjoyed the fact the toddler area wasn’t overrun by older children. 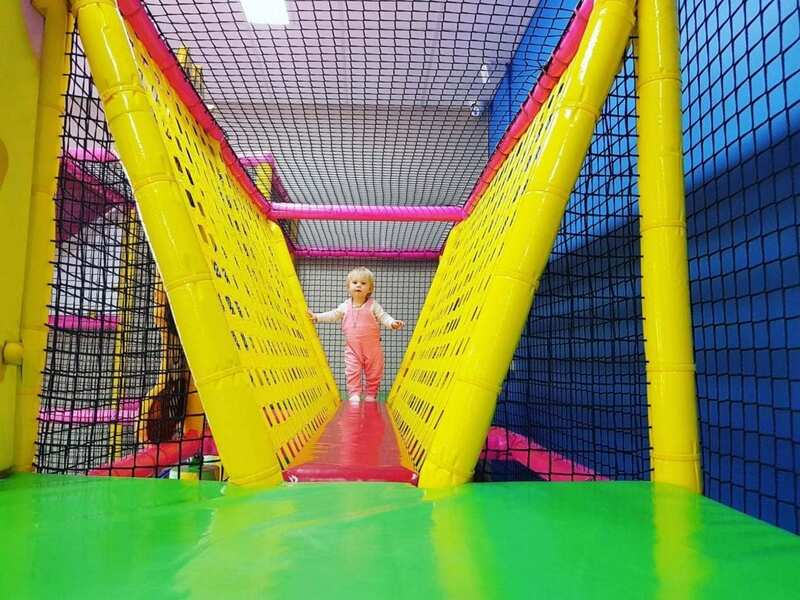 The toddler area is sectioned off from the rest of the play equipment by soft blocks, which is a great alternative to fences as it makes the area feel more open, and little ones cannot try to escape every time a gate is opened. 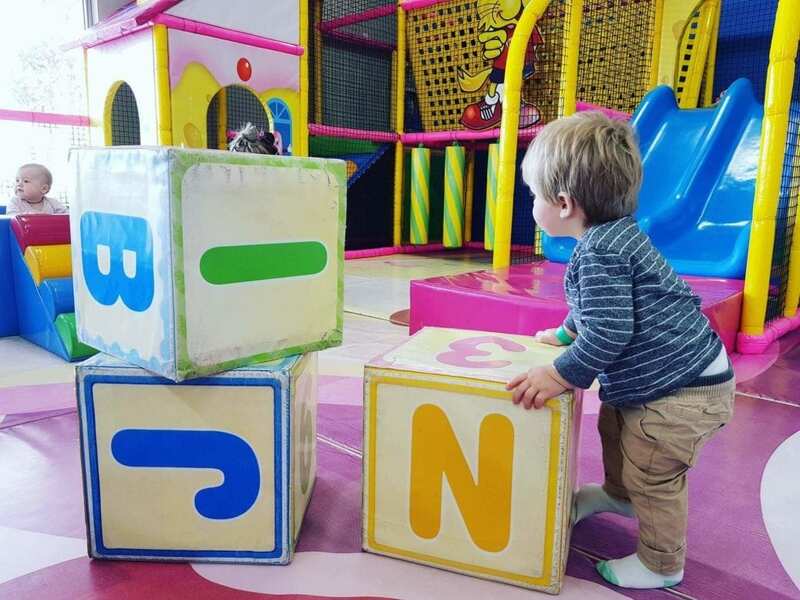 There is plenty of seating throughout the centre, including seating that overlooks the toddler area so you can enjoy your free coffee while keeping an eye on your child. 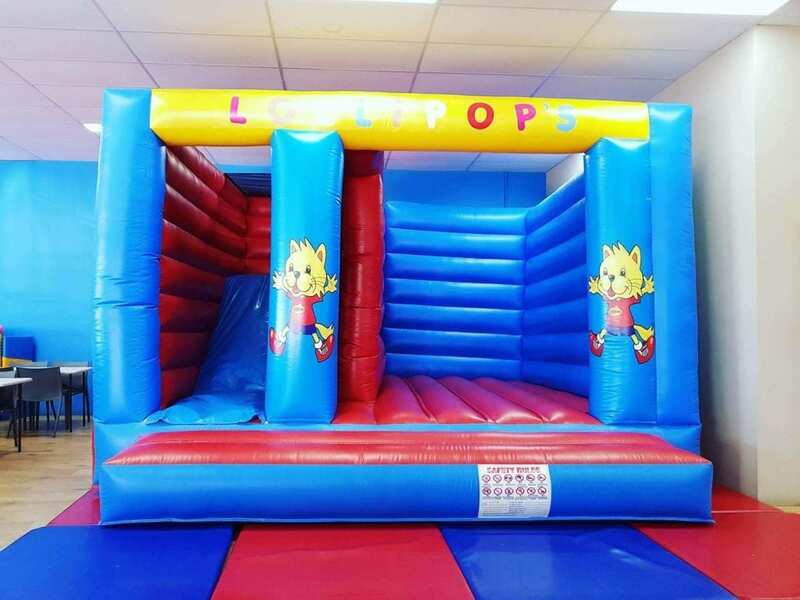 Next to the toddler area is a bouncy castle with a built-in slide. The main multi-story climbing structure is fantastic! 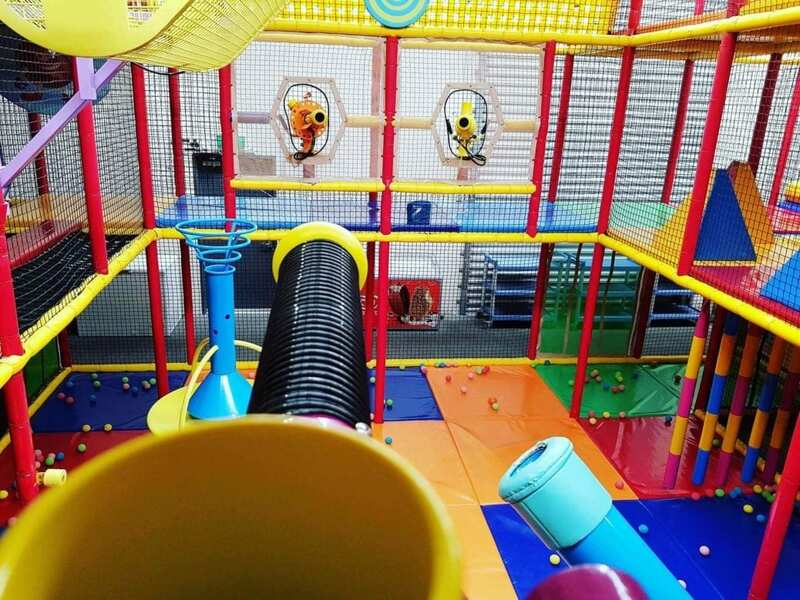 Consisting of 3 levels with a range of obstacles on every level such as tunnels to crawl through, bridges to cross and punch bags to weave around. The entire playground is padded for safety. 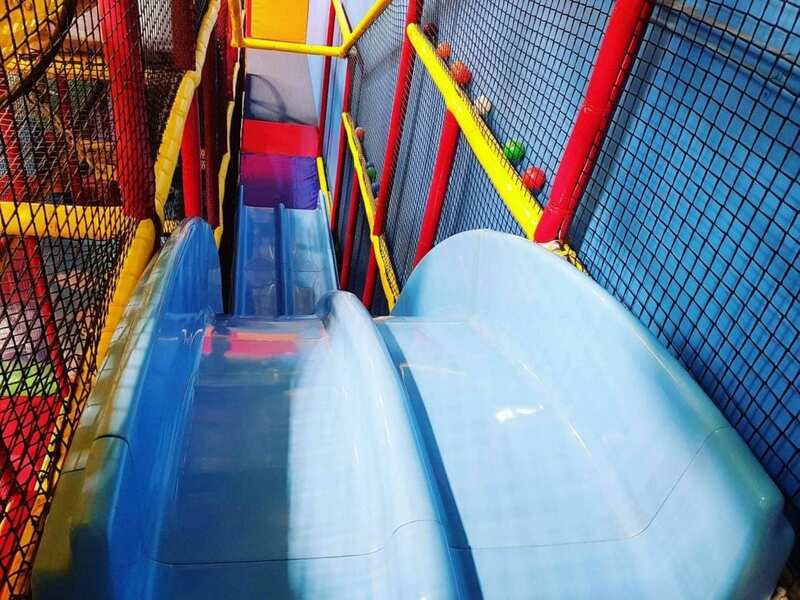 The huge 4 lane speed slide is a huge hit with kids of all ages, parents can have a go too. 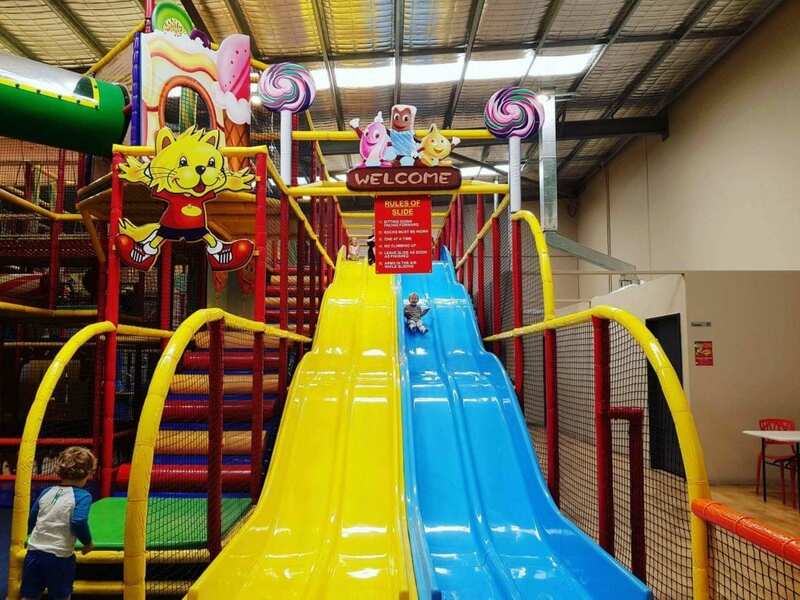 For children 4+ there is a 2 lane drop slide. 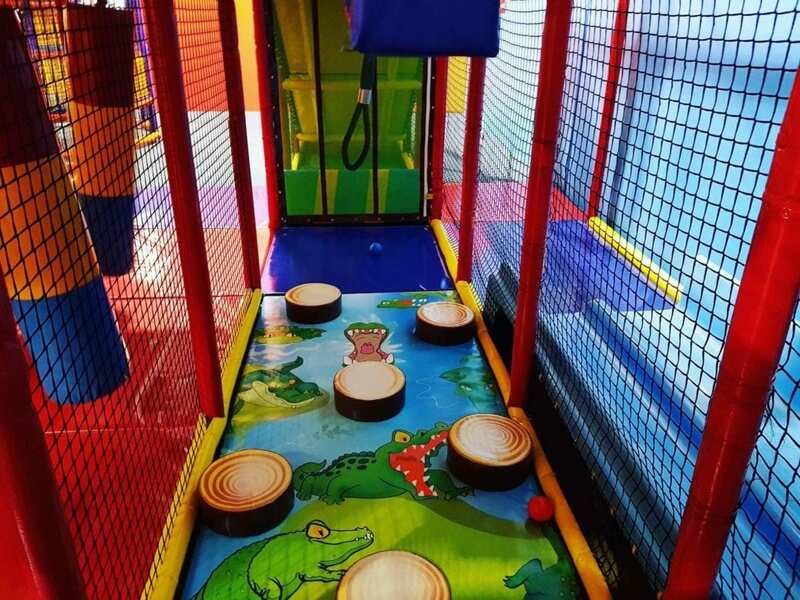 On the ground level there is a big ball pit, twisting poles, and avoid the croc infested waters by hopping across the stepping logs or swing across on the flying fox. 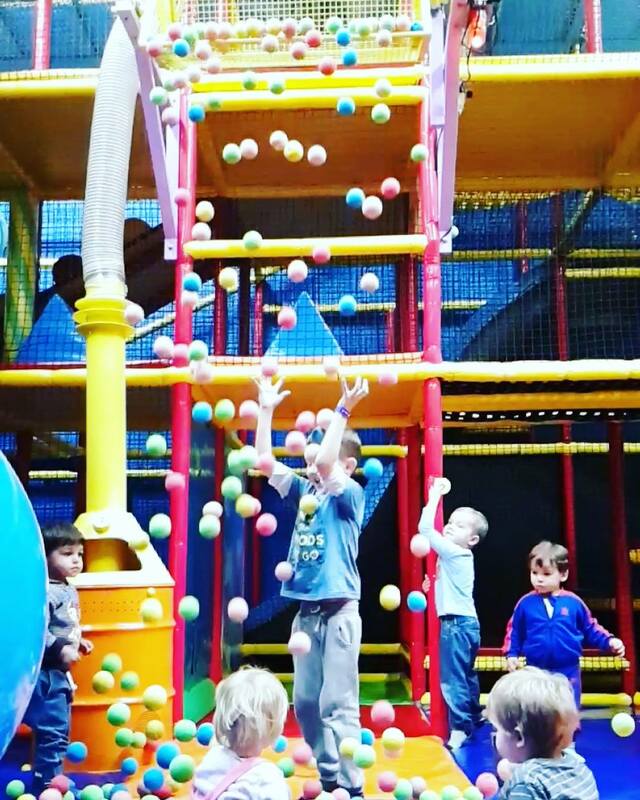 The ball blaster zone is heaps of fun, we opted to collect the foam balls to create a waterfall of foam ball. 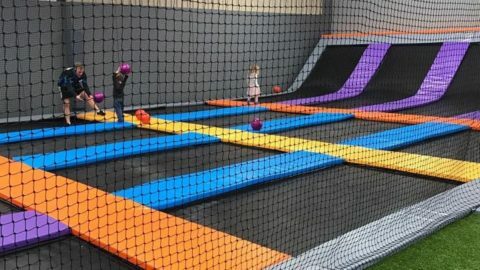 In the same area there is a ball fountain and cannon. 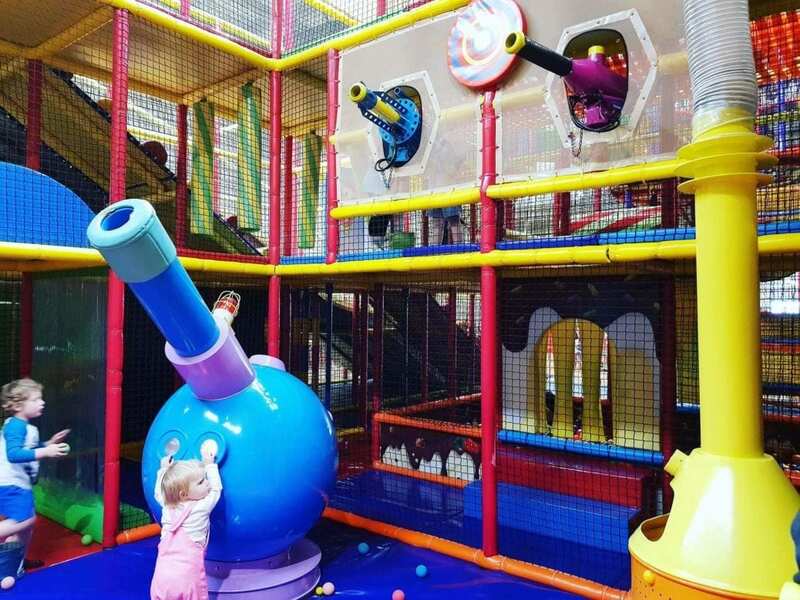 The bigger kids love collecting up buckets of balls to take to the top level to shoot at targets or each other. 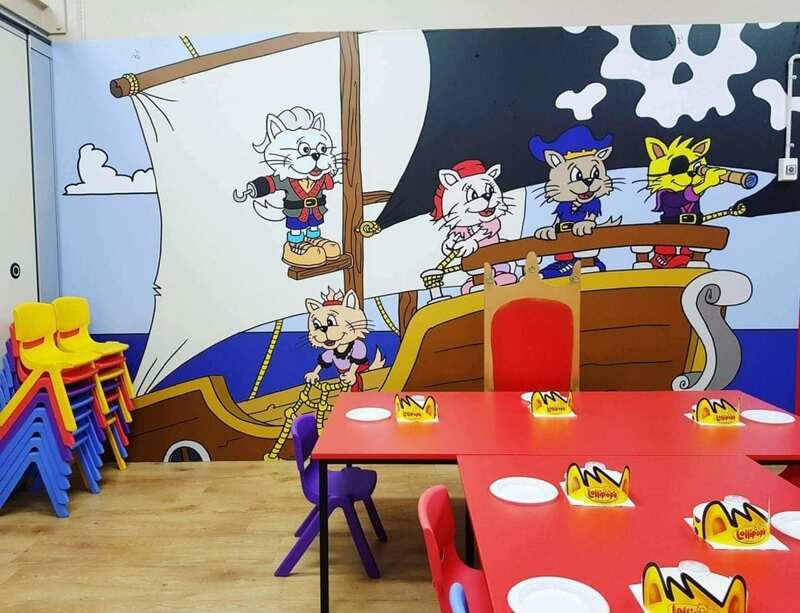 Lollipop’s pirate ship runs every hour, staff will announce the ride is running over the PA system. Children with green wrist bands need to ride with an adult, while older children may ride alone if they wish. There are seat belts, and the staff member operating the ride checks everyone is properly buckled up and explains a couple of rules for riding before the ride begins. 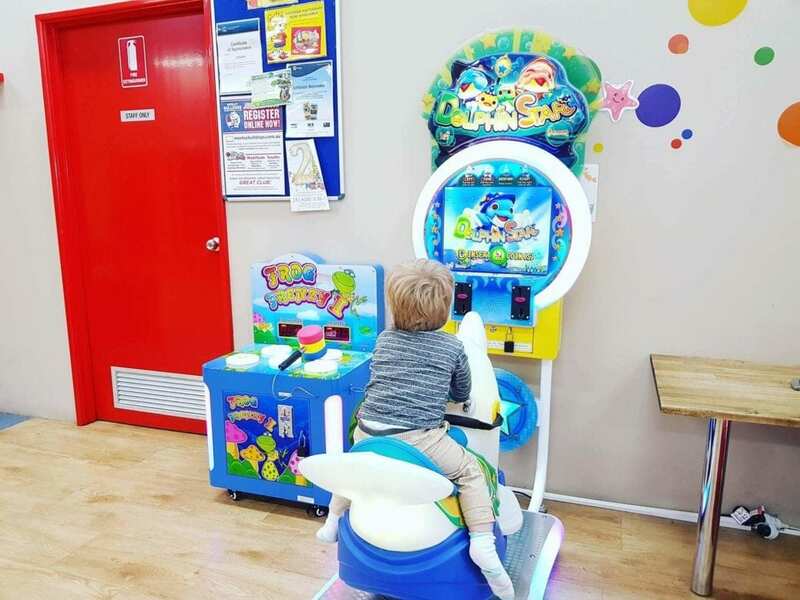 There are a few coin operated arcade games. 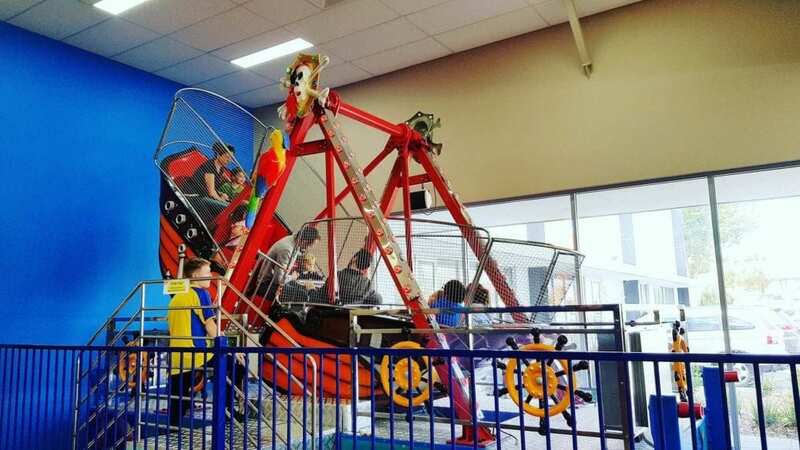 The ride-on games, air hockey, and claw machine cost $2 per game. 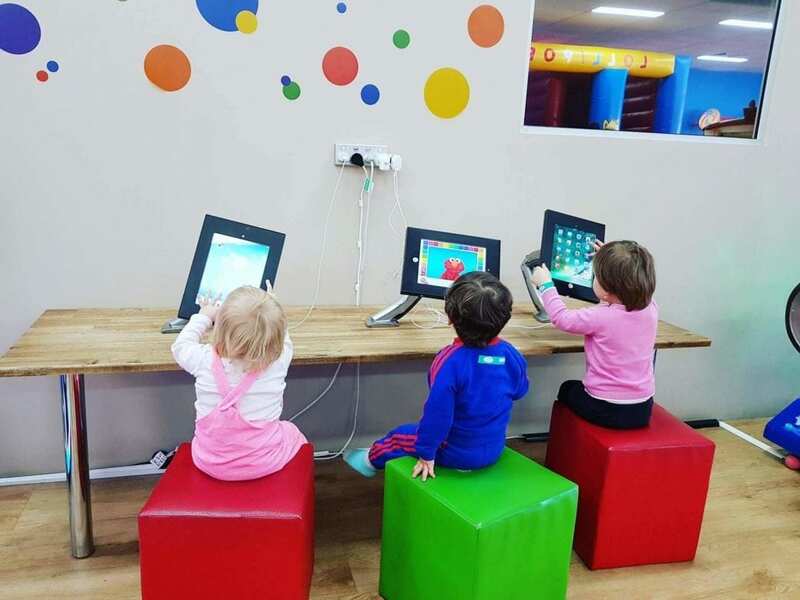 There are also 3 iPads preloaded with games. 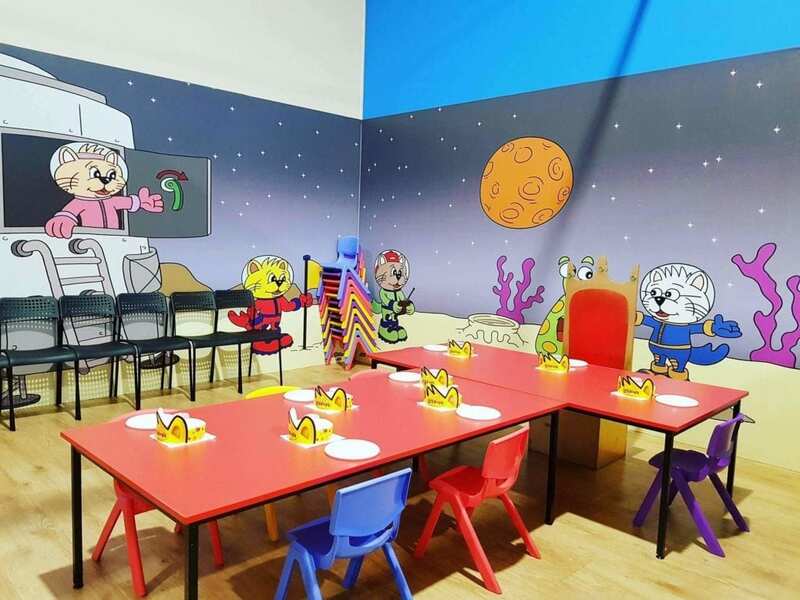 Lollipop’s Playland Bayswater has four bright party rooms available for hire, each with a different theme. 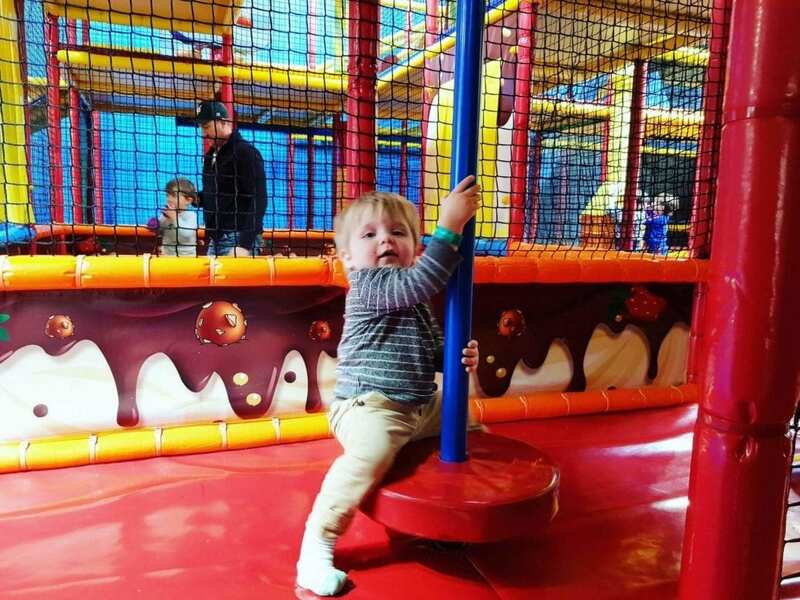 Party packages include unlimited play in the Playland, as well as food from the café. They can even provide invitations and a party entertainer. 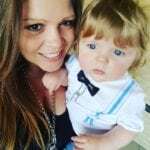 See their website for party package details and prices. 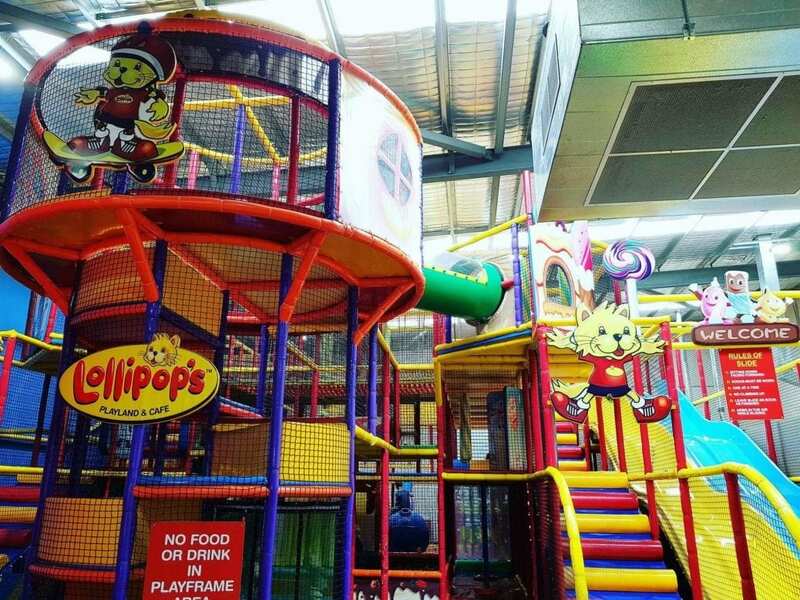 Entry to Lollipop’s Playland varies, depending on the age of your child and the time you visit. 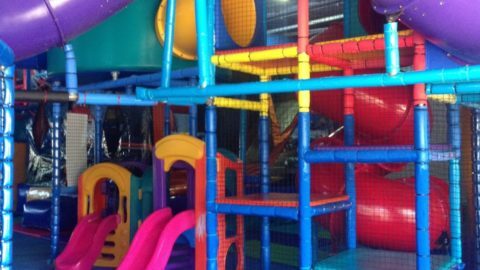 Entry includes unlimited playtime. 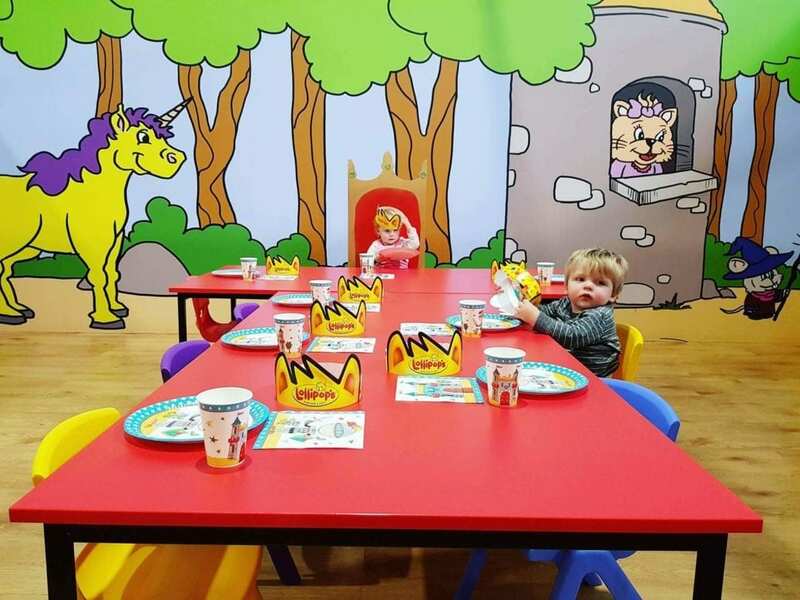 Grab a loyalty card, for free offers on your 4th, 8th and 12th visit. 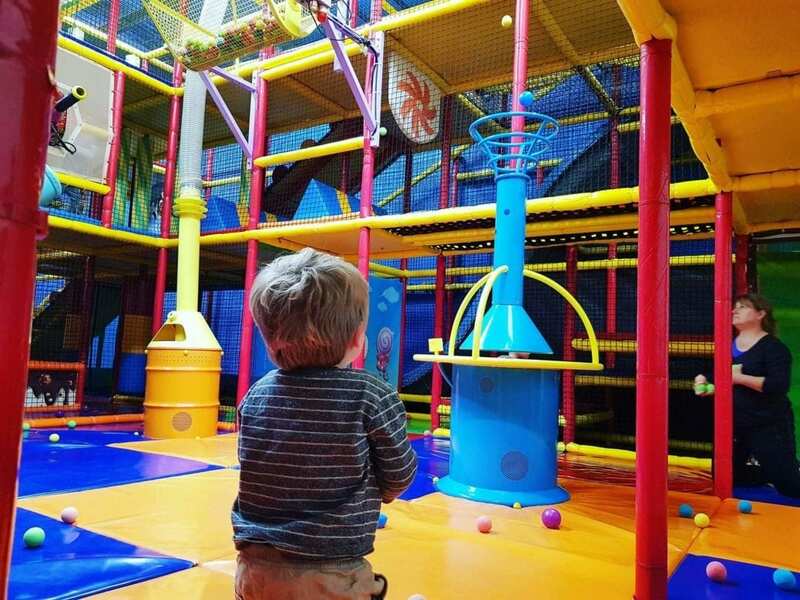 There is so much to LOVE about Lollipop’s Playland Bayswater. 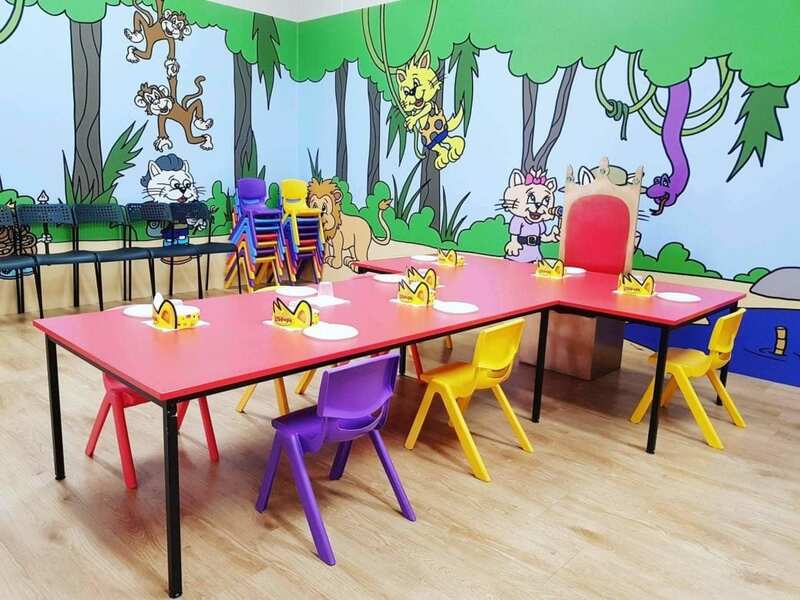 The staff are super friendly and accommodating. 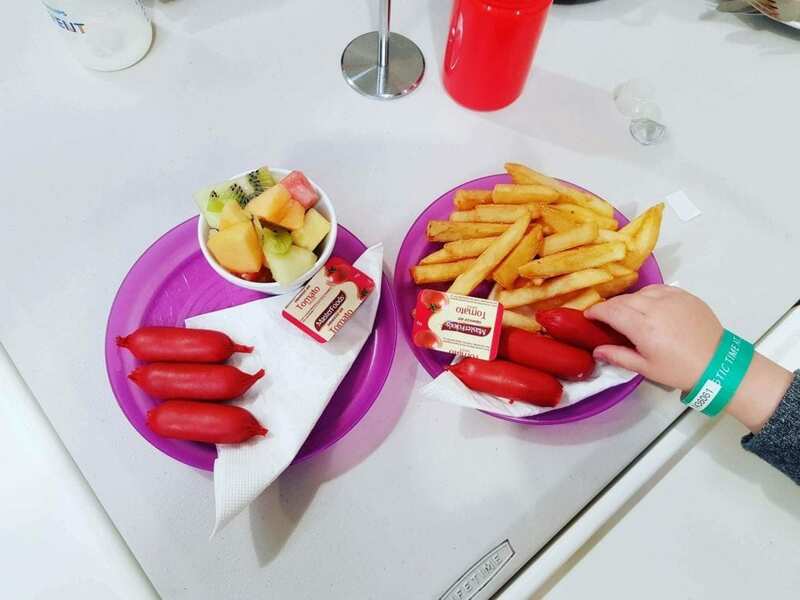 I was shocked to learn the centre is 2 years old given how clean, fresh and well-kept it is. 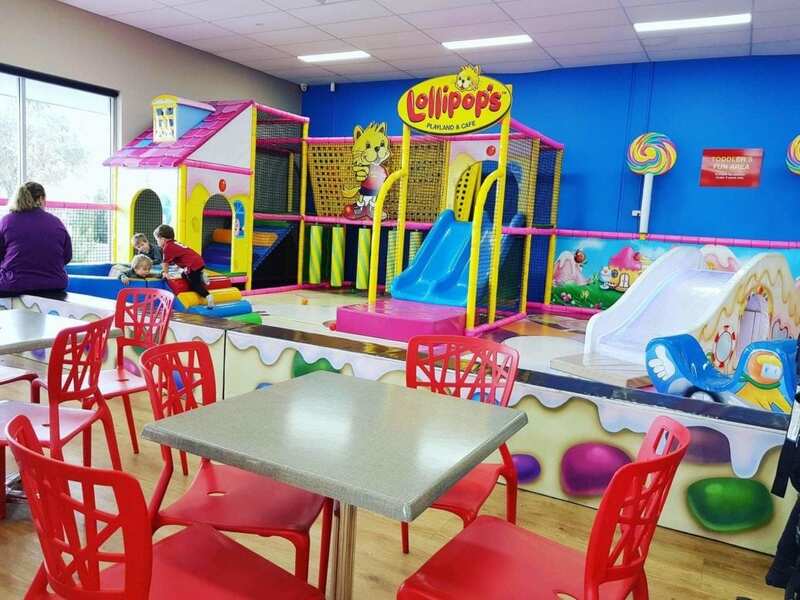 Lollipop’s Playland Bayswater is located at 68 Beechboro Road South, Bayswater.